The CRPS Convention is a two day event which begins on Saturday, November 3rd, 2018 in front of Sleeping Beauty’s Castle for a meetup and community picture at 4 pm*, meetup for teens living with CRPS, and The CRPS Convention Welcome Dinner and Ceremony to recognize and honor leading doctors who specialize in CRPS at Disney’s Paradise Pier: registered: Hotel at 6 pm*. 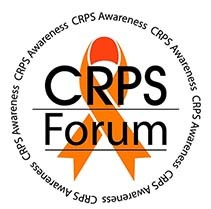 The CRPS Convention and CRPS Convention Talks will take place on Sunday, November 4th, 2018 from 10 am-5 pm and will feature vendors and speakers who are dedicated to supporting The CRPS Community. On Sunday afternoon, we will honor the attendee who shows the most spirit, the attendee who is most active on social media for the convention, and the most creative booth. Ticket purchase for The CRPS Convention Welcome Dinner and Ceremony, CRPS Community lunch, and registration for The CRPS Convention Talks will be available soon. Proceeds will benefit education, research, and awareness for CRPS.